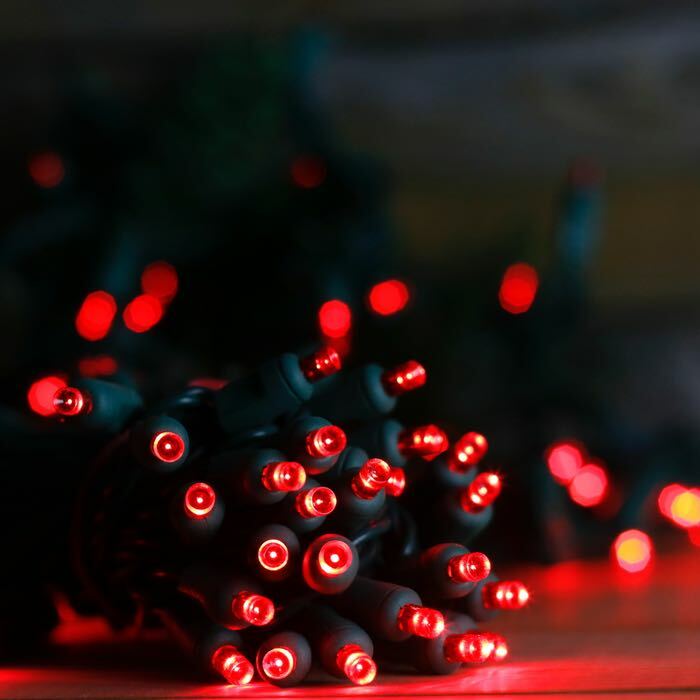 Wide angle red Christmas lights are a popular choice for outdoor and indoor decorating. With the smallest lens shape, this string of lights on green wire really blends into a lighting project while throwing off a wide angle array of light. 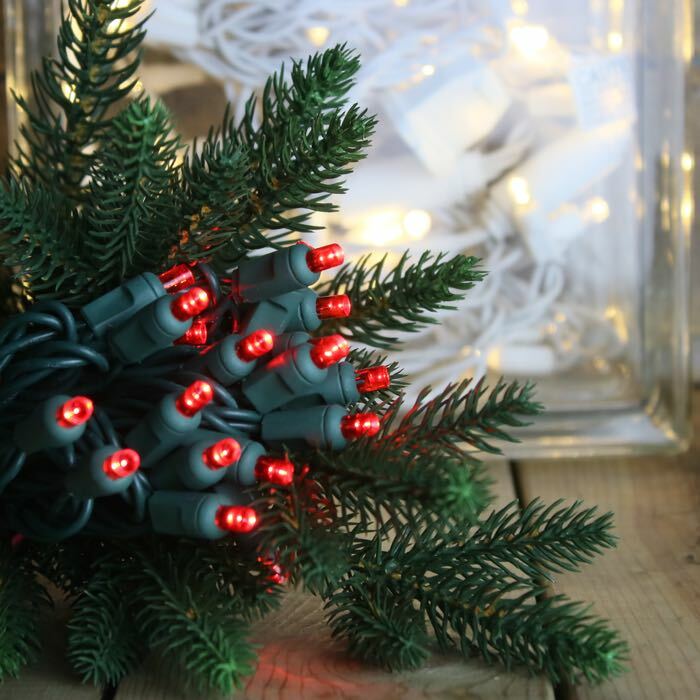 These eco-friendly LED lights are a customer favorite for wrapping outdoor trees as well as bringing sparkle to the indoor Christmas tree. 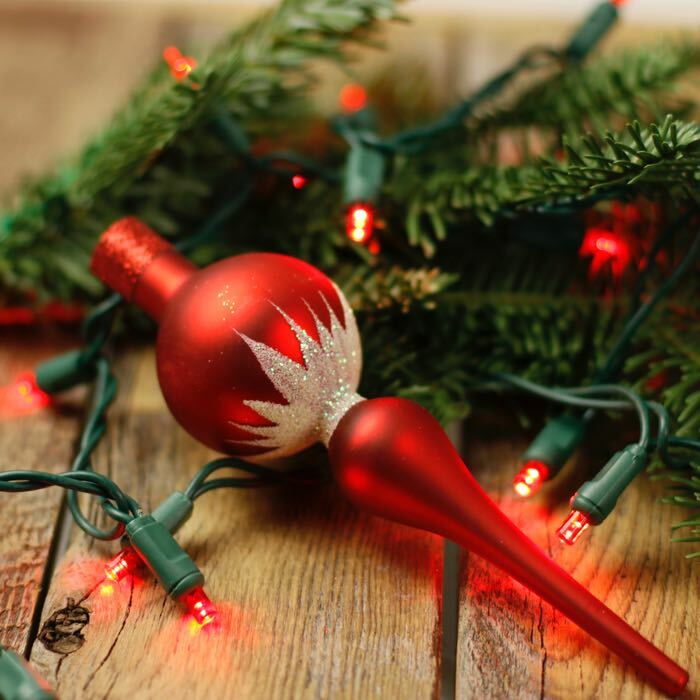 Consider combining these lights with a single other color, such as green or white, for a festive look on greenery lining mantles or stair bannisters. 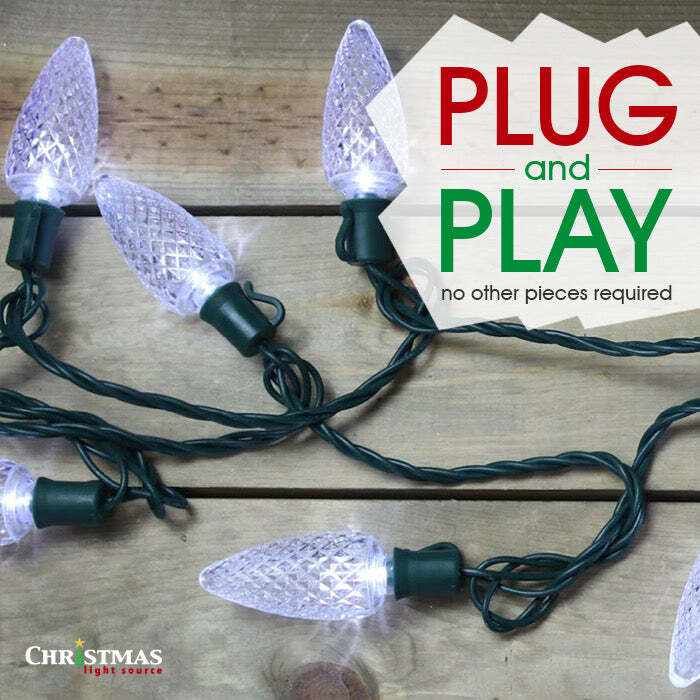 With 87 sets able to run in a series, these LED lights are ideal for large projects and most can be accomplished without a second extension cord. Q: The red 50 count that I'm interesdted in is the plug able to be plugged into an outlet or do I need an adaptor? This light string does have a "normal" male 120 volt plug on one end and a female plug on the other. Thanks for your question and let me know if you have others.